Grass and gravel space in a quiet area that looked ideal for a stopover. But within half an hour we had a Securitas guard arrive on a moped to say we could stay in the day but couldn't stay the night. I don't know if he had the authority to say this but we left all the same. There were 3 other vans but no idea if they stayed overnight. 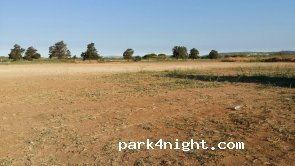 We stayed on the easily accessible, large, flat, grass/gravel area for 2 nights. 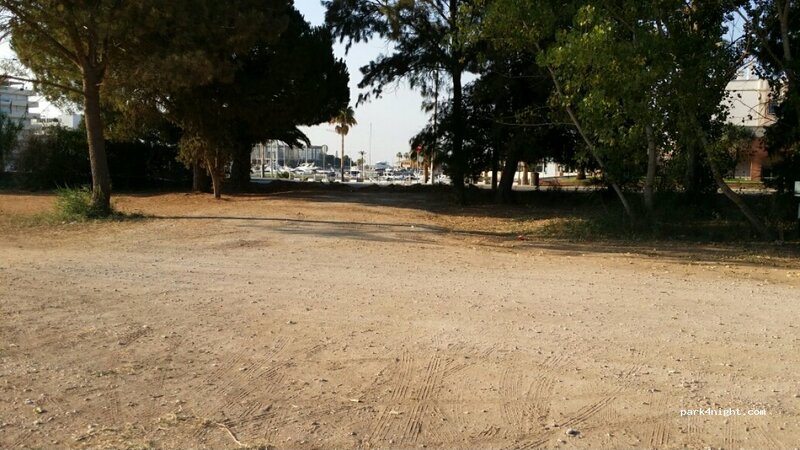 A great location to visit the marina, beautiful beach or play some mini golf at the mini golf family park nearby. GNR passed through daily on their horses without comment as no one was 'camping'. No services but quiet, bins nearby. 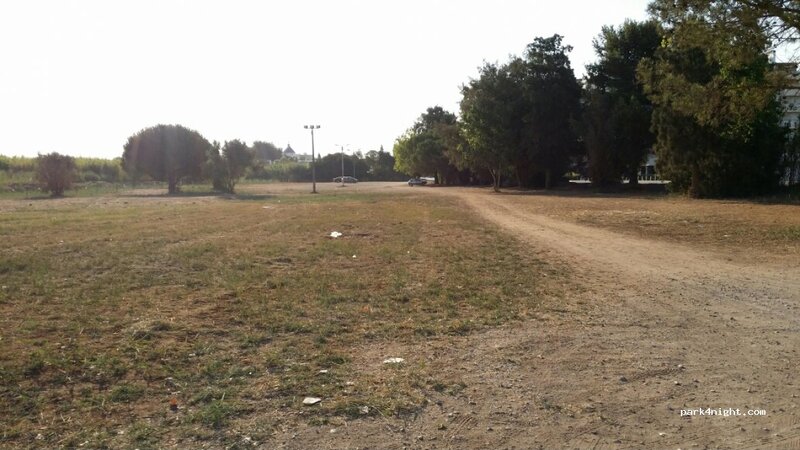 We parked over the road on the wasteland. Nice enough spot to visit the town as only 5-10minute walk. 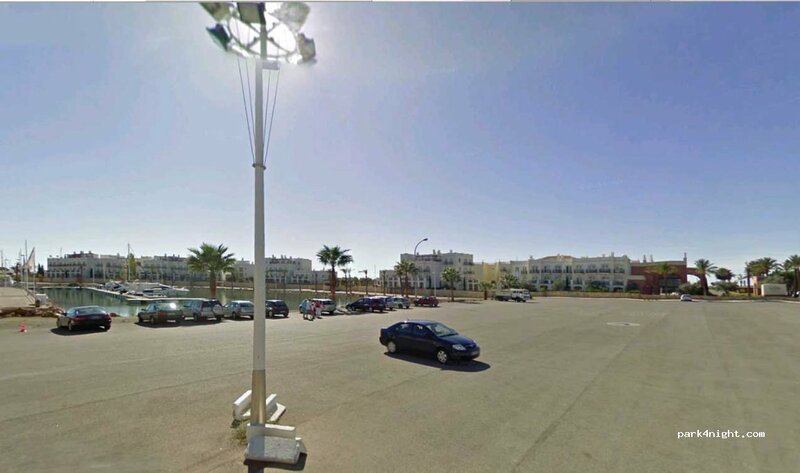 Le parking répertorié est situé à l'intérieur de la marina et ferme par une barrière donc inutilisable.Il existe cependant un parking en terre facilé d'accès juste avant le grand parking payant à 800 m de cette marina. Pas de service. Pas de problème pour stationner en Novembre. En été ??? Signs saying no campers or caravans on two of the parking places but not on the rough piece across the road to the side of lake hotel. 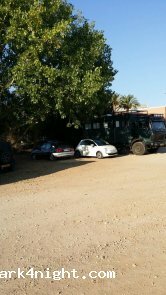 We parked on the dusty car parking area across the road from the hotels etc. It was perfectly adequate and we had no bother. Nice and quiet during the night. Very convenient for the marina and the beach. No services at all though. Superbe place pour accès à la plage et passer la nuit, à cette période, début octobre, il n'y a pas grand monde. Restaurant sur la plage. 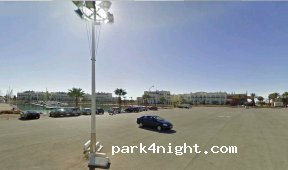 L'icône est sur le parking du port, mais les photos montrent le grand parking en terre qui est juste en face cet endroit est très sale (papiers, bouteilles etc..). J'ai mis 3 étoiles pour sa proximité de la ville avec beaucoup de restaurants et commerces, nuit calme. Parked here today, 13th Jan without an issue. The sign on the photographs from the previous post has gone. There was interest in the mh but only people liking it and asking for a photo. A good spot but park away from the hotels and near the road so not as to block any views. 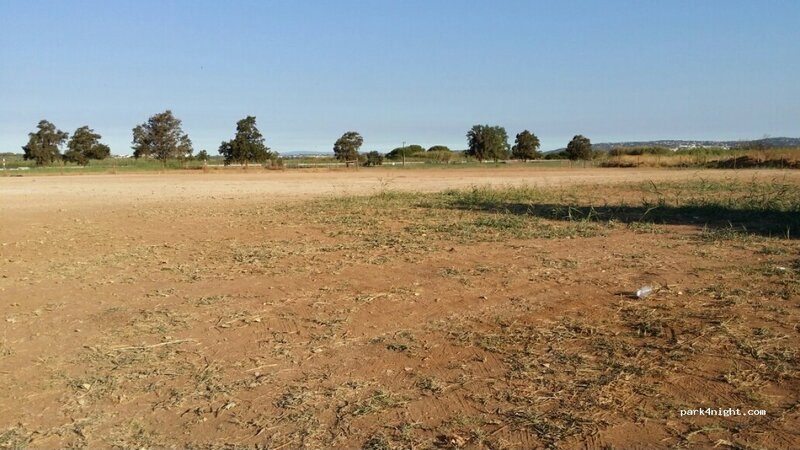 Large spacious parking at sports complex, swimming pool, estadio de quarteira. 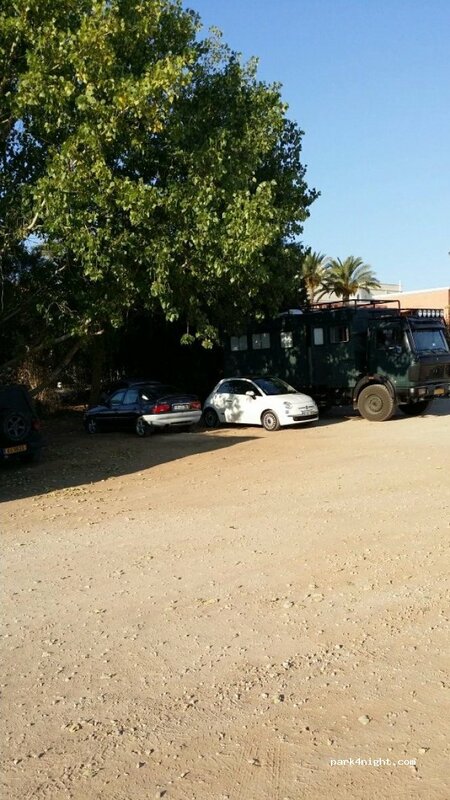 Parking de terre, seulement pendant la journée !